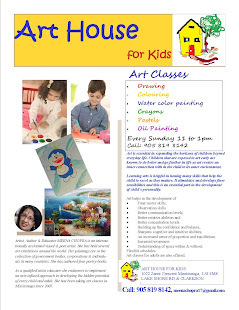 We offer individualized classes for any special needs and also for the kids with special needs. Children freely express their feelings through art. They are full of emotions,wanting to explore the world around. As an art teacher and an artist I see the value of art in every day life, more so with the children with special needs. Children having problems with speech, language and motor skills struggle with verbalizing and expressing what they feel and need. This could be frustrating for the children, upsetting and challenging for their parents and educators. Art benefits cognitive and physical development, strengthens problem-solving and critical-thinking skills, develops a sense of goal-setting and nurtures social skills that are critical and important. (A study by the nonprofit organization Americans for the Arts). Needless to say, art is crucial for kids with special needs. 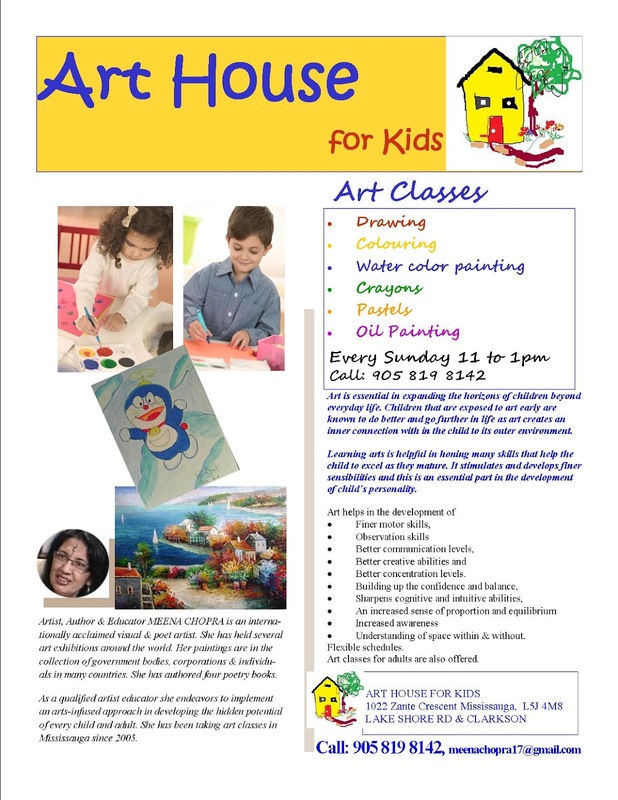 Artistic activities directly help exercising and strengthening the cognitive and physical skills that mostly challenge special needs children, such as oral, tactile, visual, sensory and motor skills. The special needs and emotionally disturbed children mostly have issues with appropriate self-expression. some times they lack the self-confidence, social skills and verbal capabilities to appropriately express themselves. Couple this with learning disabilities, behaviors that are not age appropriate and problems developing and maintaining relationships, and you have a syndrome mix that can cause children to fail academically. Surely art is one amazing subject, at school and home, in which children with special needs can succeed. Along with being a catalyst for skill development, art teaches life lessons through a therapeutic method. One lesson is the power of planning. For special needs students, the planning that drives the artistic process becomes more important and enjoyable than the finished work. The challenge is to emphasize the process and eliminate feelings of failure when finished works don’t live up to students’ intentions. I like to teach children to appreciate whatever direction their art takes them giving them ample freedom for self expression. Many a times things end up differently from what they set out to accomplish. This is valid for typical children as well as special needs children. Developing plans, following steps, adjusting a course of action as the plan plays out, accepting results, finding insight through failure, these are some of the universal life lessons that naturally arise in arts education. Art is simply created, shared and appreciated. Embracing children’s work is an essential part of art education for children with special needs. 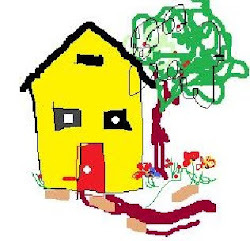 Showcasing their work by displaying their creations around the house could give children a sense of pride and accomplishment, builds a “can-do” attitude and enhances feelings of self-worth.